Well I was going to put together a nice little post (my first here at The Total Bro) about the Cleveland Browns…and questioning why on earth they still exist in the NFL. I even had an opening line with a little homage to Daniel Tosh’s standup: Heads up Browns fans, this next one’s gonna sting. However, as I sat with computer on lap, and another weird staple of the NFL (Thursday Night Football) on the television, I watched as Dolphins linebacker Kiko Alonso delivered an excruciating hit on a sliding Joe Flacco; I have no doubt it’ll be the talk of every major, minor, and breakroom sports outlet starting Friday morning. This hit was delivered from Alonso’s shoulder, directly to Flacco’s head, subsequently knocking the quarterback’s helmet clean off, resulting in him leaving the game with a concussion. Check it out. With that said, this isn’t a witch hunt against Kiko Alonso, or the rest of the defensive players that have delivered late, ridiculous, horrible hits. I think most will agree that this hit could have been avoided, though some will argue that the speed of the game doesn’t always allow for that…things are moving at a fast pace, and with the speed that a linebacker can show up, shortly before a quarterback truly begins their “NO TOUCHING!” slide, I will concede that there are moments where the line blurs. My issue isn’t with the gray area, with the QB not-so-electric slide, or even with the egregious late hits. My problem is that despite the NFL taking a hard stance against concussions, with the NFL actually putting the safety of the players in a spotlight, especially when in a defenseless position, we still see these horrific injuries sidelining athletes for games, seasons, and sometimes careers. Aside from imposing new rules, fines, suspensions, or dishing out 15-yard penalties like the one Alonso received, is there anything the NFL can do to mitigate what is innately a rough and often violent sport? My take is two-fold: teach and enforce true tackling, and (hold on to your potatoes) reduce the amount of michelin-man padding these players are wrapped in. Regarding the tackling, I saw one of the many players-turned-commentator make an offhanded criticism a few weeks ago that has been bouncing around in my brain like an echo chamber. He pointed out how so many defenseman are not racking up tackles and hits because they have amazing form, wrapping the receiver up and taking him to the ground, but because the run as fast as they can and then launch themselves at their opposition. At first thought, this made an impact and stuck in my head as an excellent point…then, when I imagined a situation to create some sort of comparison, it really threw me. Picture starting at the end of a hallway in your home, running full force towards the closed door at the end, and then throwing all the weight of your body at the awaiting obstacle. Did you see yourself going straight through the door and into whatever terrified family member’s personal space? Now imagine it’s someone who is 6’3″, 233 pounds, and trains to throw themselves at closed doors…how does that resonate? If we’re going to count tackles, and we’re going to put player safety on a pedestal, then I believe making these sorts of hits illegal would not only ease the impact and injury of high-speed collisions, but would also likely make the game a lot more interesting. My other offering, which sounds counterintuitive, is based off of some semblance of logic (which means it doesn’t matter if I’ve been drinking!). When players have more padding to absorb hits, to reduce the shock from collisions, a feeling of invincibility begins to take hold. 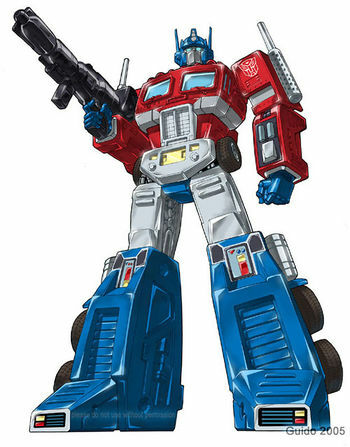 If we look to rugby as an example, we see that players do incur injuries, and even draw some blood, but because they’re not covered in space age plastics, they aren’t turning themselves into Optimus Prime and rolling full bore at an elite quarterback with dire consequences. While I’m sure the helmets and shoulder pads will stay, it would be nice if players, owners, and the league office would reach outside the box and take a better stance towards these ridiculous hits. If you don’t want to get hit don’t waist to the last minute to slide. Quarterbacks want to get as much as they can without getting hit. Slide quicker!!!!!! It’s about more than hits after the slide, though. It’s about how the NFL allows players to hit, rather than tackle…it’s about the number of injuries that have occurred because of players launching themselves at other players and hoping that knocks them down, rather than using speed, strength, and skill to *tackle* their opponent. In this instance, if the rules didn’t allow Alonso to throw himself at Flacco and required him to only tackle or touch the QB to ensure the down, we likely wouldn’t have had an issue with a late hit and concussion because he would have carried himself differently instead of turning himself into a human missile. This can also be said for numerous other situations that don’t even involve a sliding QB.